This striking necklace was created from an unusual button I found in a grab bag. I loved it so much that I had it cast in silver. 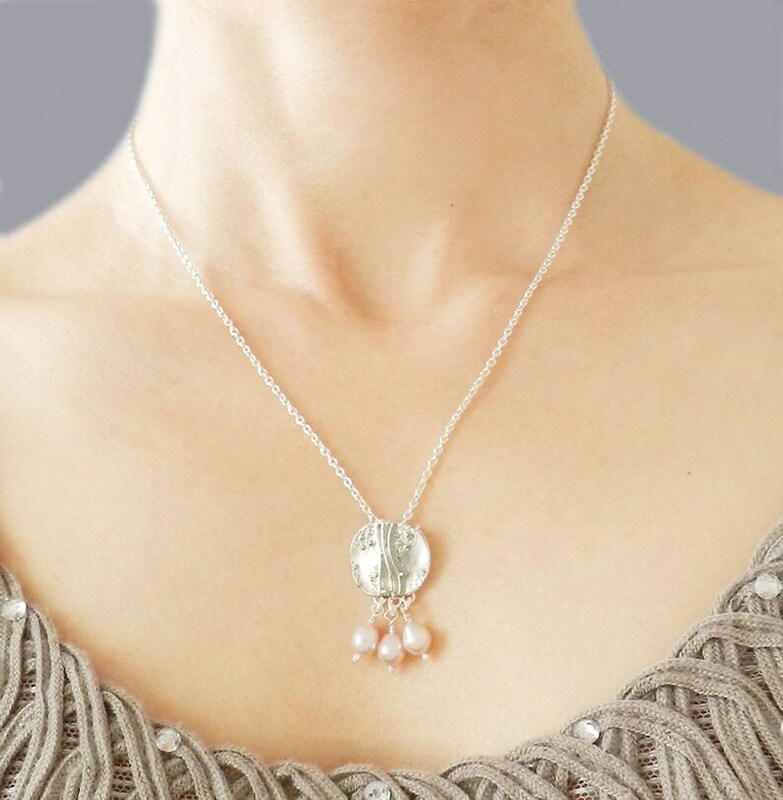 The undulating lines and the bubbles give it a lively character, and I paired it with beautiful pink/blush freshwater pearl drops making this a stand out accessory . Back of the pendant has a beautiful wood grain texture, and it hangs on an 18" sterling silver chain. The button pendant is 3/4" x 3/4".